Last week brought several indicators of a strengthening economy. 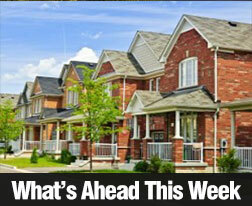 New home sales, private and federal employment and mortgage rates rose. The Department of Commerce released construction spending numbers for October with mixed results. Although public projects fueled an 0.80 percent increase in month-to-month construction spending, residential construction fell by 0.60 percent. Analysts had expected an increase of 0.50 percent and also noted that the negative effect of the government shutdown was a “blip.” October’s reading for construction spending was the highest since 2004. CoreLogic released data that home prices rose by 0.20 percent, which represents a year-over-year growth rate of 12.50 percent for home prices. Pending home sales were suggested that November sales are expected to hold steady as compared to October, and projected year-over-year sales for November at 12.20 percent. Slower growth in home prices was attributed to higher mortgage rates and a fear of a housing bubble in the West, where demand for homes far exceeds the number of available homes. Not wanting to buy at the top of the current housing market, some potential buyers may be waiting for the talk of another housing bubble to subside before buying. Robert Shiller, co-author of the Case-Shiller Housing Market Index, noted that home buyers may not be “psychologically ready” for another housing bubble. New home sales for October were higher than expectations of 419,000 homes sold on a seasonally-adjusted annual basis. October’s reading of 444,000 new home sales was 21.60 percent higher than September’s reading of 354,000 new homes sold. The national median home price fell by 4.50 percent to $245,800 in October; this was the lowest month-to-month reading since November 2012. The number of available homes fell to a 4.90 month supply in October. This may cause buyers to put their home searches on hold as they wait out the winter months and hope for supplies of available homes to increase. ADP a private-sector provider of payroll services reported 215,000 new jobs added in November as compared to October’s reading of 184,000 jobs added. Weekly jobless claims supported the ADP reading as new jobless claims fell to 298,000 against expectations of 325,000 new claims and a prior reading of 321,000 new claims. The Bureau of Labor Statistics brought more good news with its Non-Farm Payrolls report and Unemployment Rate for November. Non-Farm payrolls added 203,000 jobs in November against expectations of 180,000 jobs added and October’s reading of 200,000 jobs added. The National Unemployment rate dipped to 7.00 percent in November against expectations of a 7.20 percent reading and October’s reading of 7.30 percent. The Federal Reserve has set a benchmark unemployment rate of 6.50 percent as an indicator of economic recovery. Last week’s strong economic news boosted mortgage rates; Freddie Mac reported that the average rate for a 30-year fixed rate mortgage rose by 17 basis points to 4.46 percent with discount points lower at 0.50 percent. The average rate for a 15-year fixed rate mortgage also gained 17 basis points at 3.47 percent with discount points at 0.40 percent. The average rate for a 5/1 adjustable rate mortgage rose by 5 basis points to 2.99 percent with discount points at 0.4 percent. This week’s scheduled economic news includes Retail Sales, Weekly Jobless Claims and Freddie Mac’s report of average mortgage rates.